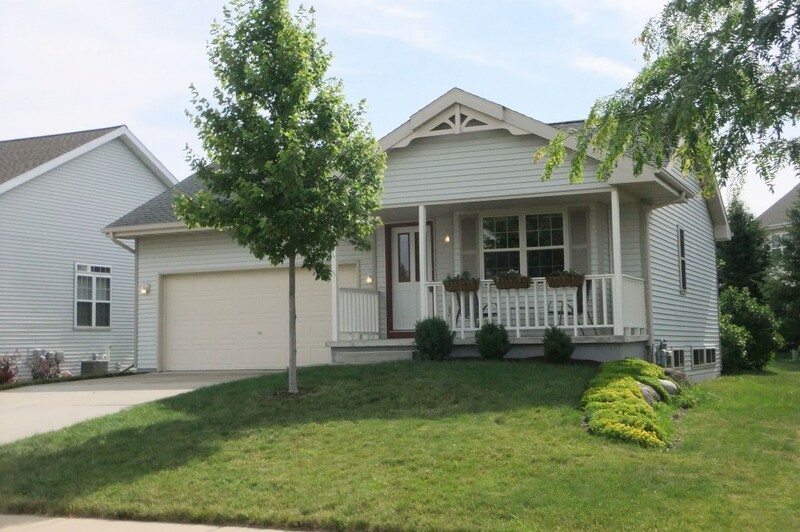 Enjoy East Madison living convenience with De Forest schools! Gorgeous light filled great room offers lots of windows, vaulted ceilings, and an open kitchen (tons of cabinets & counter space), dining and living area. Walk in closets. Super grande lower level for all the storage you could ever want plus two additional rooms that are framed and ready to finish into an office, guest or family room. Beautiful back deck, mature trees, nice space to play without being too huge to care for. 2 BR, 1 BA, 1,002 Sq. Ft. Built in 2003, all mechanicals are newer and in great condition. Fresh paint and new light fixtures in living and kitchen areas. Lower level can be finished easily (already framed) to add a 3rd bedroom and office or family room. Huge storage area is great for crafts and hobbies!